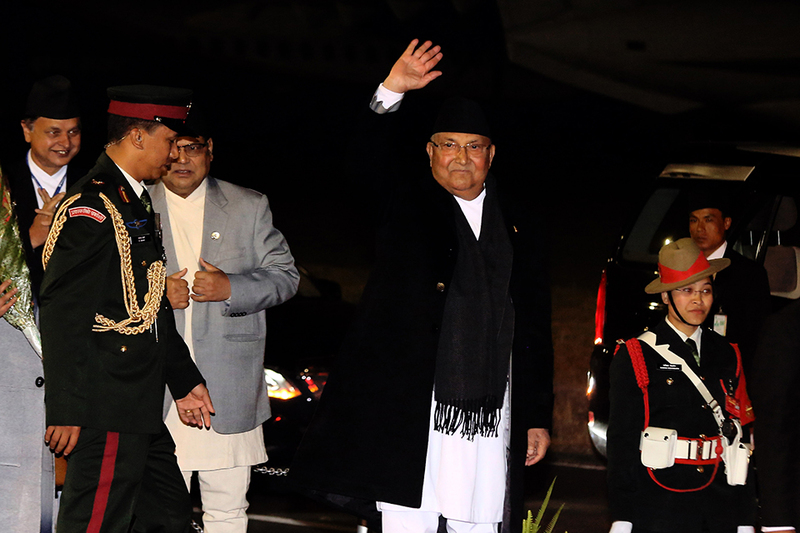 KATHMANDU, Jan 21: Prime Minister KP Oli left for Switzerland on Sunday to attend the meeting of the World Economic Forum (WEF). The prime minister will address two different sessions in the WEF sharing stage with Afghanistan's chief executive, Colombian president and Armenian prime minister. The prime minister will address, as a panelist, two separate sessions on 'Strategic Outlook on South Asia' and 'Shaping the Future of Democracy' to be held on January 22 and January 23, respectively. He will also address the 'Informal Gathering of World Economic Leaders' on the theme 'The End of Global Trade as We Know It?' on January 23. He will hold meetings with the leaders from G-20 countries on January 24. Oli will share stage with Afghan Chief Executive Abdullah Abdullah in the first session, and with Columbian President Iván Duque Márquez and Armenian Prime Minister Nikol Pashinyan in the second session as a panelist. Publishers of Financial Times and The New York Times will also be panelists in the second session. 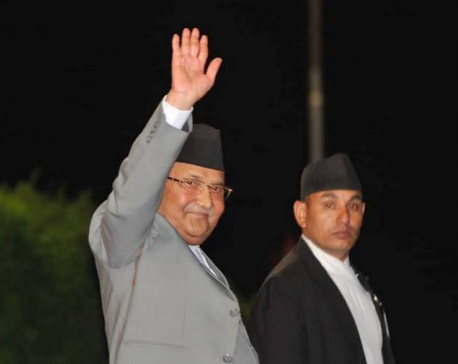 Addressing the parliament on Friday, Oli said he will hold meetings with world leaders and business leaders on the sidelines of the summit and apprise them of the changed political environment in Nepal and solicit foreign direct investment. 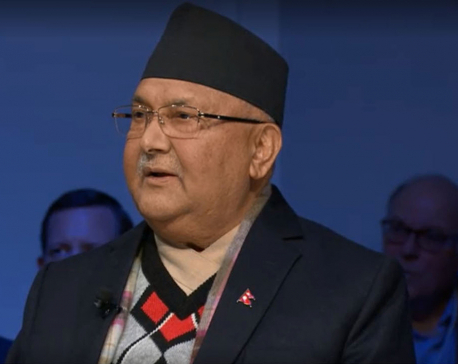 “This is the first time that a prime minister of Nepal is attending the WEF Annual Meeting,” according to a press statement issued by Ministry of Foreign Affairs. This year's WEF Annual Meeting will be held on January 22-25 on the theme of 'Globalization 4.0: Shaping a Global Architecture in the Age of the Fourth Industrial Revolution'. 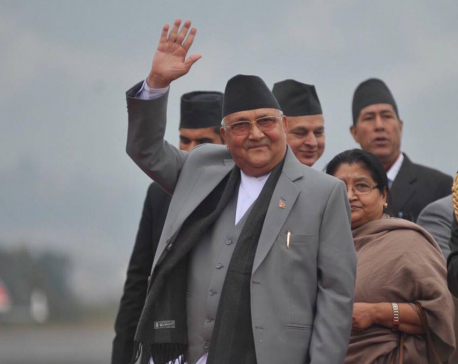 The prime minister will be accompanied by Minister for Foreign Affairs Pradeep Gyawali, Minister for Finance Yuba Raj Khatiwada, and other high-ranking official as well as his wife Radhika Shakya.